Travel the Land of Ooo as you’ve never travelled it before—from the deck of Finn and Jake’s new boat. 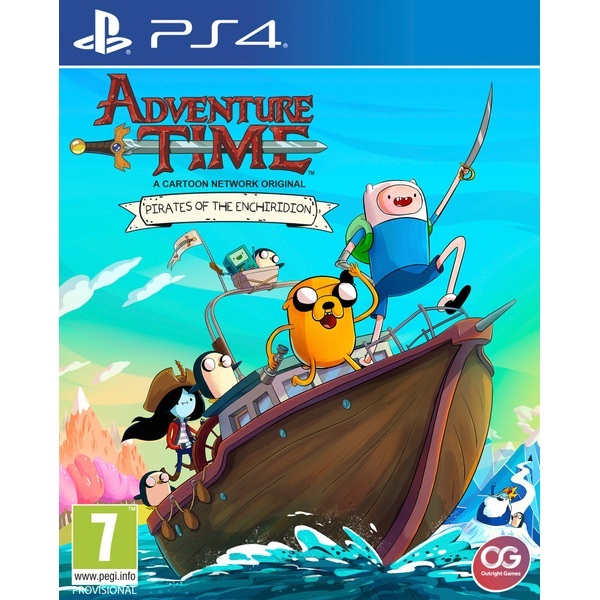 Control Finn, Jake, BMO, and Marceline as you explore the world more freely than ever, sailing between familiar kingdoms and loctions, and venturing into uncharted territories in the most immersive Adventure Time experience ever! To find out what’s up, you’ll have to explore every kingdom and talk to lots of Adventure Time characters to get the scoop. You might even have to unleash a little "good cop, bad cop" Finn and Jake style on the occasional plughole or D-lister to get them to spill the beans. Gather info, collect loot, and learn about side quests and secret map locations that will help you get to the bottom of this wet, wet, mystery—before it’s too late!